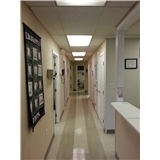 East Bridgewater Dental (East Bridgewater) - Book Appointment Online! This is a multi-specialty practice. We have an pediatric dentist, endodontist and an oral surgeon on site.